I'm re-starting this blog as a way to share our journey as we build a modern.county.building. My husband and I found our little patch of heaven on Kings Road in Prince Edward County. Over the past two years, with our architect Scott Bailey, we've been planning and dreaming about what we're going to do with the place. Finally, the journey is about to start! First, a lay of the land. 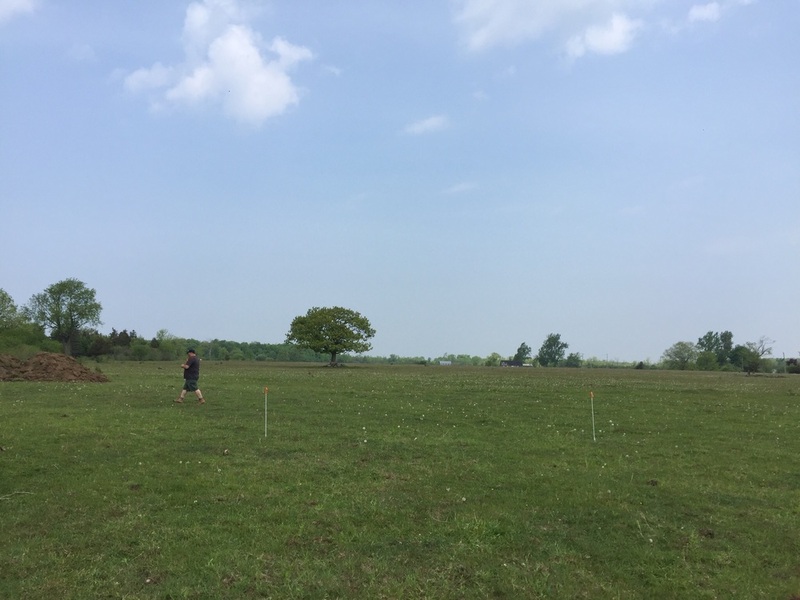 This is the land survey of the property - where our property is marked as Lot 3. Total size is 62 acres. One of the reasons we fell in love with this spot (aside from the instant good vibes we got) was the long road frontage along kings road. About one third of the land is pasture (and our neighbour's cows keep it that way), and the south bottom half is wooded. (Could also be called brambley by someone less generous then me 😎). This is a zoom in if the main area we wil be building in. A lot changed in the two years since we bought the land - we got married and ended up moving to New York for work -so our plans changed accordingly. We expanded the house and added more space for a gym / rec area as well as a greenhouse. 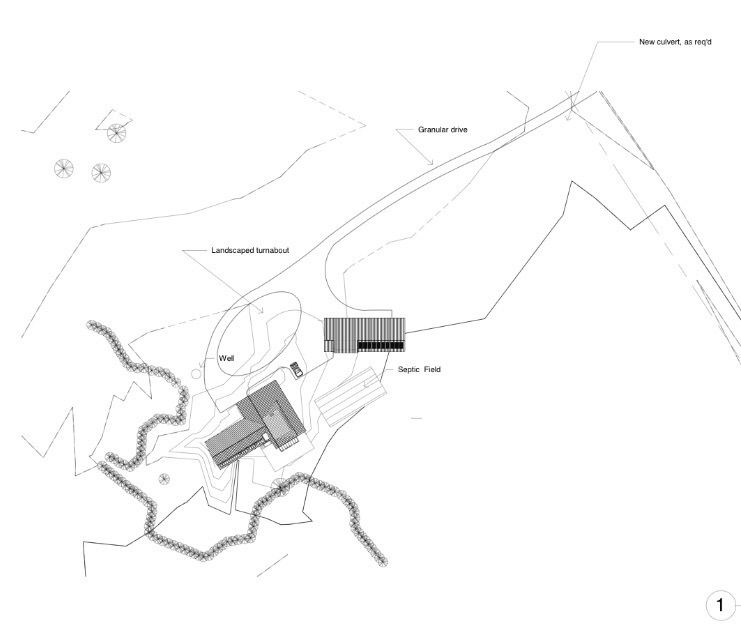 Most importantly we decided to build the barn, which was originally planned as phase 2 first. (We refer to it as the Barney house - as initially this will be the primary residence on the property). 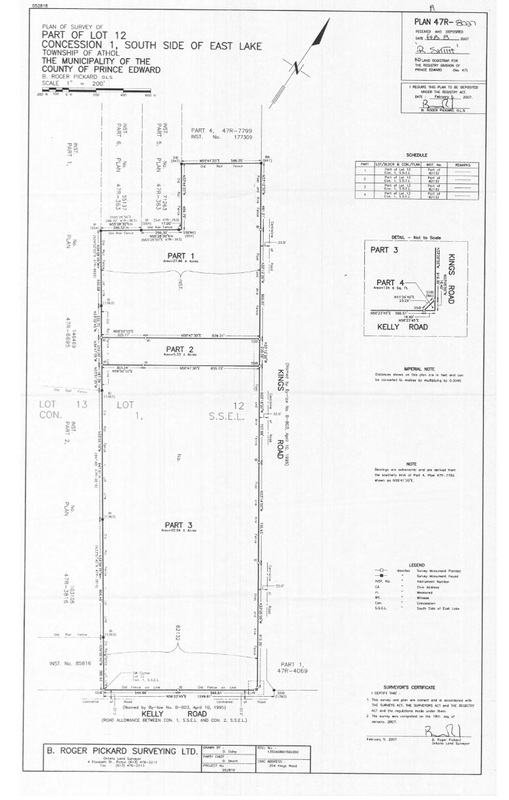 Below are some key views when the barn and house are built. Although the designing process is continuous and always evolving, these drafts reflect the major decisions about how we expect to use the two buildings. View of the house / barn looking down from the engagement tree. 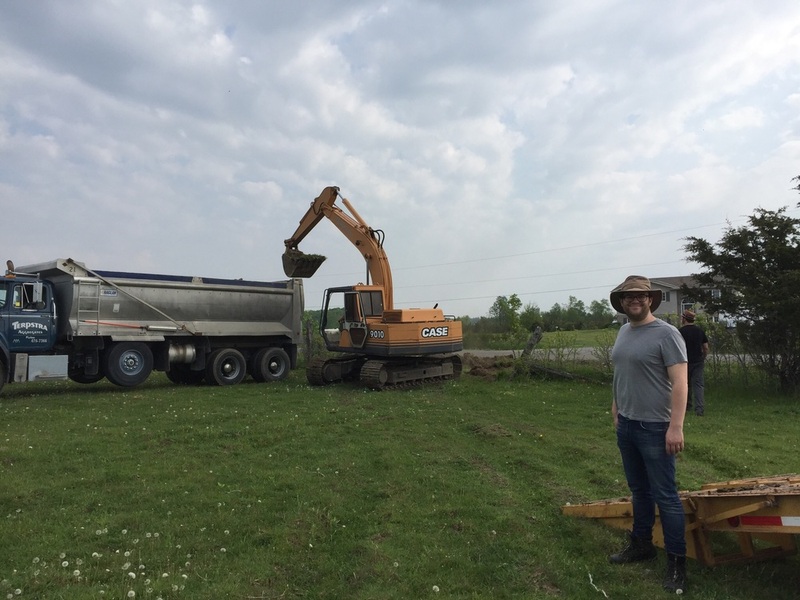 We started some of the site prep work this summer, namely getting the entrance permit (we finally have our own municipal address! ), and having a driveway dug up plus laying the gravel. 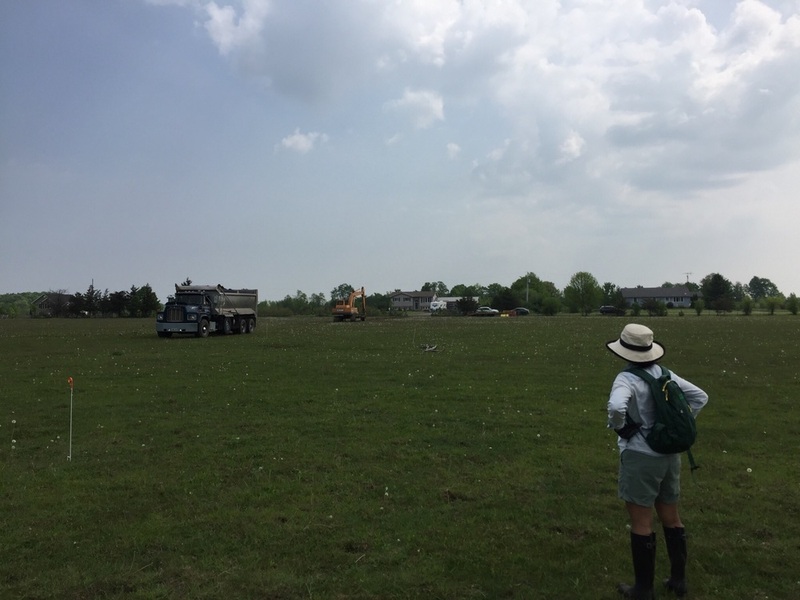 We also staked out the site positioning for the house and barn, and witched for a potential well location! One big peice of info we got with the excavator was data on how deep the soil is. The answer is not very much - maybe about 12 inches - at least where the barn is. The county is famous for its shallow soil - but we were somewhat optimistic about having a bit more depth. Not a huge issue - we were planning to elevate the house in any case. Soil, shale and then bedrock. 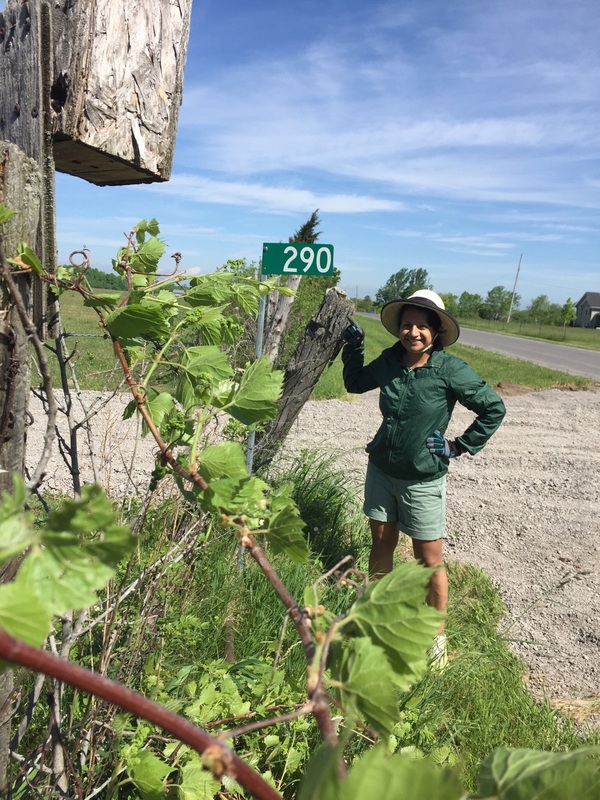 While putting up the address street pole we founds some wild grape vines growing - an auspiciousness sign! Most likely the seeds were dropped there from the birds that live in the old birdhouse out front. Our street address, wild grape vines growing. To close this first post, two of my favourite moments in life that have already happened on this land. 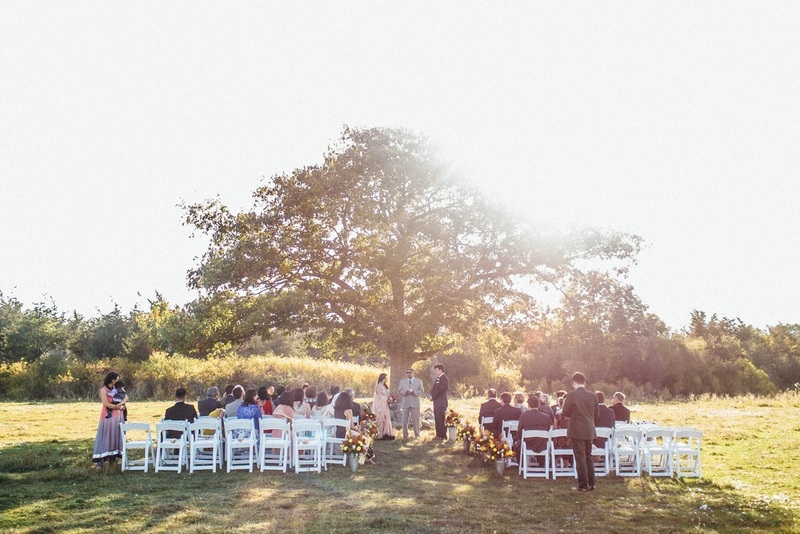 Picture of our wedding under the "engagement tree".